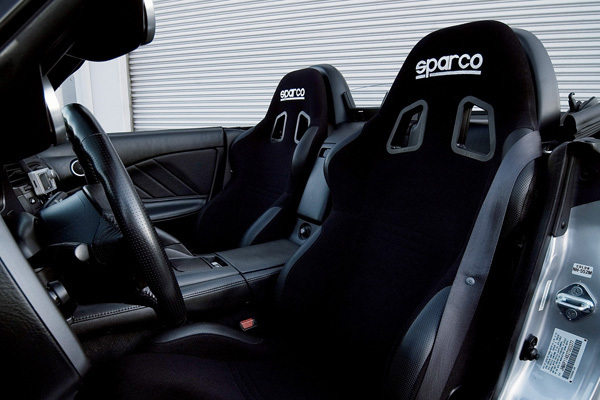 Sparco fitting frames are made to work with your Sparco bucket seats and recliner seats. All the frames available are direct bolt in frames which work with your vehicles original bolting points. This means that no modification are required to your vehicle when using these frames with any of the Sparco base mounted reclining sport seats or bucket seats. Each of the Sparco sub-frames listed have optional sliding runners available, this feature will provide a forwards and backwards sliding movement to your Sparco seat. Sparco direct fitment frames will only work with Sparco and Recaro seats as both of the manufacturers use the same base mount bolting points on their seats. We can not guarantee if they will work with any other seat brand. Cant find your make and model? Type it in to the live search bar at the top of the page to quickly see which brand make direct fit frames that will work for you.